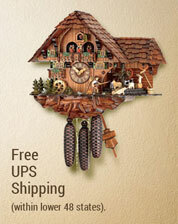 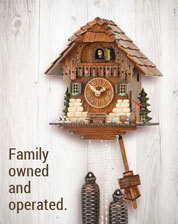 15 1/2 inch 8 day cuckoo clock by Hubert Herr. 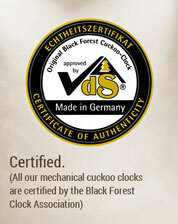 The birds next to the dial move with the cuckoo call at the half and full hour. 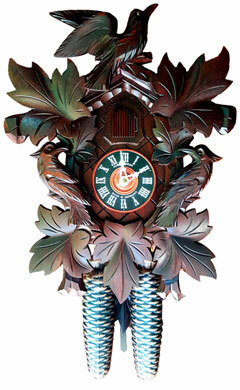 Clock features hand carved wooden hands, wooden dial and wooden numerals and wooden cuckoo bird. 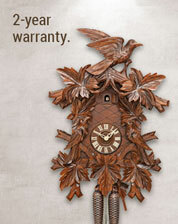 Clock is stained and waxed for extra protection. 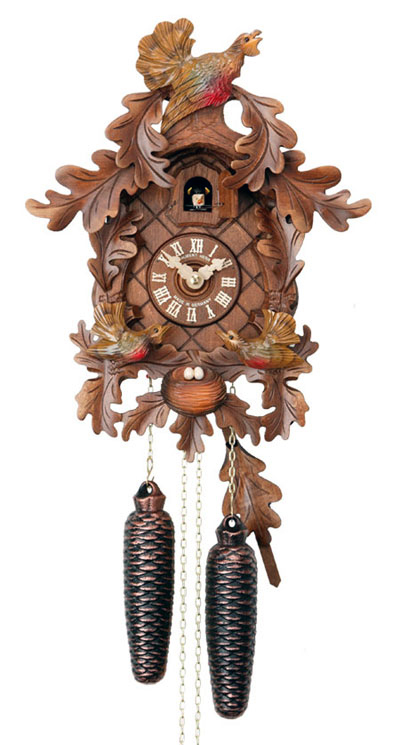 Clock is equipped with german brass rackstrike movement with nightshutoff by Hubert Herr.